On 22 September 2017, an international symposium on the Christian Future of Europe took place at the residence of Russia’s Ambassador to Great Britain. The keynote address was delivered by Metropolitan Hilarion of Volokolamsk, chairman of the Moscow Patriarchate’s Department for External Church Relations. I cordially greet all of those gathered today at the Russian Embassy in London to partake in this conference dedicated to the question of the future of Christianity in Europe. This topic is not only not losing any of its relevance, but is resounding ever anew. Experts believe that today Christianity remains not only the most persecuted religious community on the planet, but is also encountering fresh challenges which touch upon the moral foundations of peoples’ lives, their faith and their values. 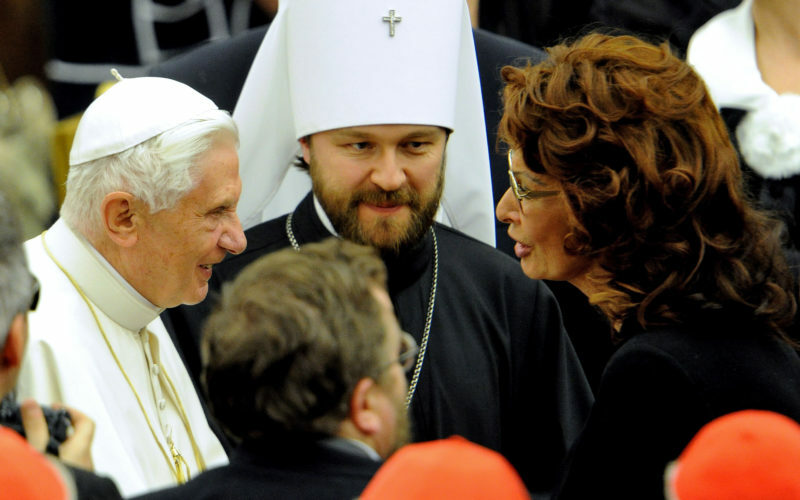 Recent decades have seen a transformation in the religious and ethnic landscape of Europe. Among the reasons for this is the greatest migration crisis on the continent since the end of the Second World War, caused by armed conflicts and economic problems in the countries of the Middle East and North Africa. According to figures by the European Union agency Frontex, more than 1.8 million migrants entered the EU in 2015 alone. Figures from the UN International Migration Report show that the number of migrants in Europe has increased from 49.3 million people in 2000 to 76.1 million people in 2015. According to research by the UN International Organization for Migration, throughout the world about 1.3 percent of the adult population, which comprises some 66 million people, in the forthcoming year intend to leave for another country in order to live permanently there. Approximately a third of this group of people – 23 million – are already making plans to move. 16.5 percent of potential migrants who were questioned responded that the countries at the top of their list are Great Britain, Germany and France. The other reason for the transformation of the religious map of Europe is the secularization of European society. 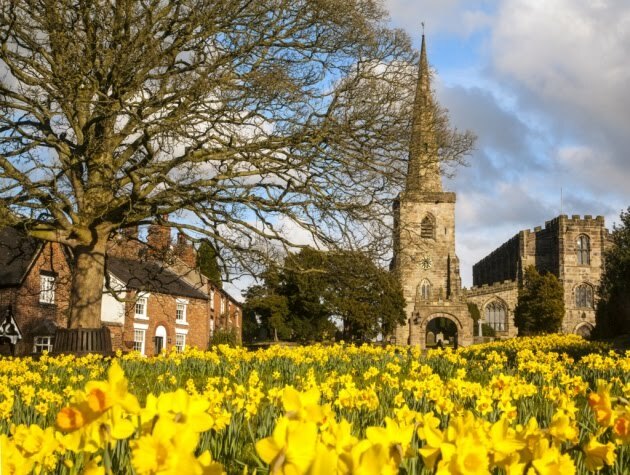 Figures in a British opinion poll indicate that more than half of the country’s inhabitants – for the first time in history – do not affiliate themselves to any particular religion. 2942 people took part in an opinion poll conducted in 2016 by Britain’s National Centre for Social Research: 53 percent of those who responded to the question on religious allegiance said that they do not belong to any religious confession. Among those aged from eighteen to twenty-five, the number of non-religious is higher – 71 percent. When similar research was carried out in 1983, only 31 percent of those questioned stated that they did not belong to any confession. We can see an opposite trend in the Eastern European countries, in particular in Russia. A July opinion poll conducted in Russia by the Levada-Center showed a sharp decline in the number of atheists and non-believers from 26 percent in December 2015 to 13 percent in July 2017. This, of course, does not mean that all the remaining 83 percent are practicing believers. Many defined themselves as “religious to some degree” or “not too religious”, but nevertheless affiliated themselves with one of the traditional religions. However, the number of people who define themselves as being “very religious” is growing steadily. The contemporary state of religious life in Russian society is directly linked to the tragic events of one hundred years ago. The historical catastrophe of 1917 embroiled Russia in a fratricidal civil war, terror, exile of the nation’s best representatives beyond the confines of their homeland, and the deliberate annihilation of whole layers of society – the nobility, the Cossacks, the clergy and affluent peasants. They were declared to be “enemies of the people,” and their relatives were subjected to discrimination and became the “disenfranchised,” which forced them to the edge of survival. All of this terror took place under the banner of a communist ideology that fought ferociously against religion. Millions of believers were subjected to the cruelest of persecution, harassment, discrimination and repression – from mockery and dismissal in the workplace to imprisonment and execution by firing squad. The Church in those years produced a great multitude of martyrs and confessors for the faith who, as St. Paul said, “were tortured, not accepting deliverance; that they might obtain a better resurrection: and others had trial of cruel mockings and scourgings, yea, moreover of bonds and imprisonment” (Heb 11.35-36). Discussion on the future of Christianity in Europe is impossible without understanding the prospects for the survival of religiosity among its inhabitants. Research carried out by the Center for the Study of Global Christianity at Gordon-Cornwell Theological College, USA, indicates that the number of Christians in Europe will be consistently falling: from 560 million people in 2015 to 501 million by 2050. The calculations of the Pew Research Center are more pessimistic and foretell a reduction in Christians in Europe from 553 million people in 2015 to 454 million people by 2050. These are alarming prognoses, but they reflect the current trends in the transformation of the religious picture of Europe, and they cannot be ignored. Some are suggesting that, unless special force is applied, Europe cannot simply cease to be Christian on the grounds that Europe has for many centuries been Christian. I would like to remind you all that in Russia before 1917 nobody ever proposed that the collapse of a centuries-old Christian empire would happen and that it would be replaced by an atheistic totalitarian regime. And even when that did happen, few believed that it was serious and for long. The first president of the Federal Republic of Germany Theodor Heuss said that Europe was built on three hills: the Acropolis, which gave her the values of freedom, philosophy and democracy; the Capitol, which represented Roman legal concepts and social order; and Golgotha, i.e. Christianity. It must be noted too that the founding fathers of the European Union were deeply religious men – for example, the French foreign minister Robert Schuman, the chancellor of the Federal Republic of Germany Konrad Adenauer and the Italian foreign minister Alcide De Gasperi. And when half a century after the creation of the European Union its constitution was being written, it would have been natural for the Christian Churches to expect that the role of Christianity as one of the European values to have been included in this document, without encroaching upon the secular nature of the authorities in a unified Europe. But, as we know, this did not happen. The European Union, when writing its constitution, declined to mention its Christian heritage even in the preamble of the document. I firmly believe that a Europe which has renounced Christ will not be able to preserve its cultural and spiritual identity. For many centuries Europe was the home where various religious traditions lived side by side, but at the same time in which Christianity played a dominant role. This role is reflected, particularly, in the architecture of European cities which are hard to imagine without their magnificent cathedrals and numerous, though more modest in size, churches. The architects of the secular society have seen to the legal aspect of the issue: formally one can confess any religion, but if one attempts to motivate one’s actions through religious belief and freedom of conscience and encourage others to act in accordance with their faith, then at best one will be subjected to censure, or at worst to criminal prosecution. Such political figures are the complete opposite to those who were at the foundations of the European Union, and this type of rhetoric, in my view, is suicidal for the continent of Europe. The legalization of abortion, the encouragement of sexual promiscuity, and the systematic attempts to undermine family values have led to a profound demographic crisis in many European countries. This crisis, accompanied by an identity crisis, will lead to a situation whereby in time other peoples will inhabit Europe with a different religion, a different culture and different paradigms of values. Often the language of hatred in relation to Christians is used when Christians insist on their right to participate in public affairs. They enjoy the same right as much as it is enjoyed by adherents of any other religion or by atheists. However, in practice it is not like this: dozens of instances of discrimination against Christians on the grounds of their beliefs are registered every year. These instances are highlighted by the media and become a topic for public discussion, but the situation as a whole does not change as a result. In modern-day Europe militant secularism has been transformed into an autonomous power that does not tolerate dissent. It allows well-organized minority groups to successfully impose their will on the majority under the pretext of observing human rights. Today human rights have in essence been transformed into an instrument for manipulating the majority, and the struggle for human rights into the dictatorship of the minority in relation to the majority. Unfortunately, we should note that these are not isolated incidents, but an already formed system of values supported by the state and supra-national institutions of the EU. 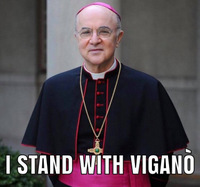 In a situation where we have aggressive pressure of the groups which propagate ideas unacceptable from the perspective of traditional Christian morality, it is essential to unite the Churches’ efforts in opposing these processes, to act jointly in the media, in the sphere of legal support, as well as in propagating common Christian values at all possible levels. It is important that the Churches share their experience in this sphere, and develop cooperation between church human rights organizations and monitoring centers. I believe it important that Christians of Europe should stand shoulder to shoulder to defend those values upon which the life of the continent has been built for centuries, and that they should view the afflictions and dismay of Christians throughout the world as their own. International Migration Report 2015. United Nations Department of Economic and Social Affairs/PopulationDivision.